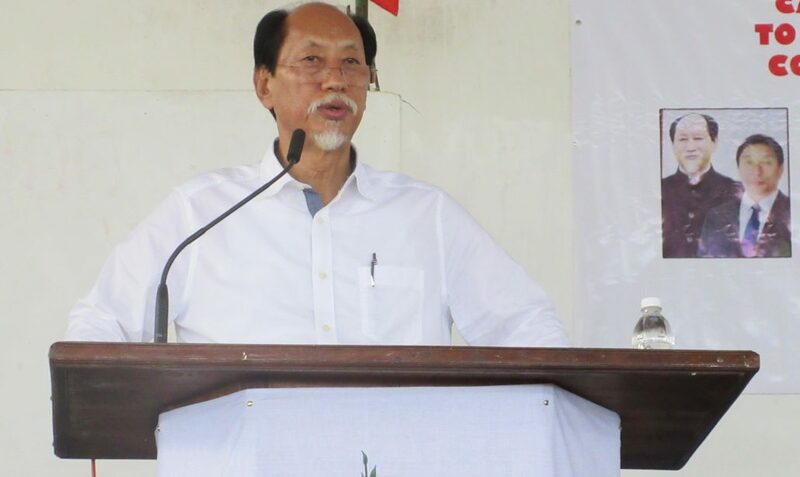 The Nagaland Pradesh Congress Committee (NPCC) on Tuesday demanded that Chief Minister Neiphiu Rio make his personal stand clear on the Citizenship (Amendment) Bill, 2016, ‘honestly’ and ‘truthfully’. “The chief minister cannot continue to cheat, fool or betray his subjects,” NPCC president K Therie said in a release. If the ruling People’s Democratic Alliance’s (PDA) decision to oppose and reject the Bill by taking a ‘U-turn’ is true, what action he plans to amend the error the Nationalist Democratic Progressive Party (NDPP) had committed in voting in favour of the Bill in Lok Sabha on January 8 last should be made known to the people, Therie said. He alleged that the NDPP and the PDA are maintaining double standards as the state Cabinet has taken a ‘U-turn’ from its original stand to now oppose and reject the Bill while the NDPP’s Lok Sabha MP Tokheho Yepthomi praised the BJP government in Parliament on February 7 for the four-lane road in the State. “He (Yepthomi) very conveniently and deliberately ignored Citizenship Bill in his speech,” the Pradesh Congress said. It said Rio, along with with his Cabinet colleagues, also held cordial parleys with union home minister Rajnath Singh on February 10 but was silent on the Citizenship Bill. The PCC said the PDA had decided to support the Bill for third time while the Congress opposed it since its introduction on July 17, 2016. The Naga People’s Front (NPF) has also come clear with their stand in opposing the Bill and asserted that its Rajya Sabha MP K G Kenye would vote against it, Therie said. The NPCC expressed its happiness that all civil society organizations have made their stand clear in opposing the Bill and the people of Nagaland cooperated with the bandh called against the Bill on Monday.